Tickets are on sale for that last show, which will feature openers Tight Phantomz and Sleep Out. 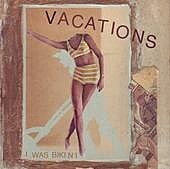 No-longer-side-project Vacations (made of Chin Up members Bobby Burg, Jeremy Bolen, Greg Sharp) announced on March 27th a “pay what you wish” album titled I Was Bikini/But Rain Afraid, now online through the Record Label record label. The “album” is really a “5 song 7-inch on sunset colored vinyl [I Was Bikini] + a download code for 8 bonus songs [But Rain Afraid].” Physical copies of that 7-inch are on sale at Flame Shovel Records. 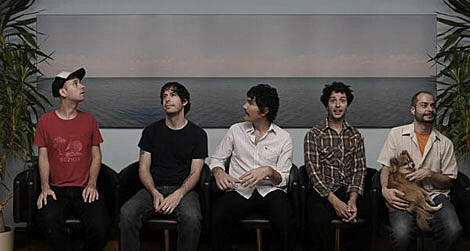 Chin Up Chin Up drummer Chris Dye also announced that he’s joined Chicago band Speck Mountain. According to Chin Up Chin Up’s site, that’ll make the band’s February 2007 NYC shows at Mercury Lounge and Union Hall their last ever in the city. Chin Up Chin Up – Why Is My Sleeping Bag A Ghetto Muppet?